Before the rush of subscription boxes, there were wine of the month clubs. Wine club popularity has surged as customers became aware of other “of the month clubs.” A burst of new companies have launched all manner of wine clubs, for every drinker and every wine budget. Read on to learn why wine club memberships are so popular and see if a wine club would be a good fit for you. Discovery. Bored with the grocery store selection? It’s time to try the world of wine that isn’t produced by massive companies. You may find a new favorite wine. Simplicity. If you ever feel overwhelmed by the wall of wine at BevMo! or the unlimited selection from online wine shops, a wine club will pick for you. Convenience. If you are too busy to learn about exciting new wines or to go pick them up at a wine store, make wine buying easier by having it delivered. Access. If you want access to small-production wines from boutique wineries, you can buy winery-direct or join a wine of the month club that sources these wines. Value. Looking for members-only pricing or everyday value? There are fewer middlemen involved in getting your wine to you with wine clubs than wine stores. Ready to start looking for a wine club? We find many people only know about winery wine clubs, mostly because of their experiences visiting tasting rooms in wine country. If you really love a particular winery, this is the best way to get access to all of their wines at preferred pricing. But what if you want deliveries from more than just one winery? That’s where “retail” wine of the month clubs (like the kind you’ll find on this website) come in. With these wine sellers, when you join the club you get access to a selection of wine curated from many wineries, not just one. Why a wine club instead of a wine store? If you ask someone who works in the wine industry, the standard advice for wine buying is to find a trusted store (preferably in your home town) and rely on the folks working there to get to know what you like and then make personalized recommendations. While we fully support buying from local wine stores, we know there are a couple of key hurdles to that ideal situation: you may not know how to describe what you like and, unless you're buying at least a case a month, we think it’s unlikely your local wine store clerk is going to get to know your palate. Let’s explore the features that define wine memberships and how those features add value compared to how you buy wine from other wine retailers. 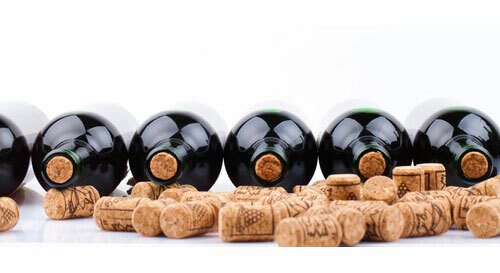 We rate 10 different features for every wine club we review because these other features set the very best wine club services apart from the rest. Satisfaction Guarantee. Why pay for a bottle you didn’t love? Guarantees range from “we’ll replace anything” to “we’ll replace ‘bad bottles’” to “too bad you didn’t like it.” You can guess which ones we prefer. Compare: How many local wine stores let you return open bottles? Convenience. A major selling point for any subscription, we think wine clubs that offer vacation holds or “skip a month,” send email or text delivery notices, and remind you a shipment is coming before they charge your card are the best ones. Compare: How many local wine stores deliver your wine? Discount Opportunities. There are three kinds of discounts we look at: introductory offers, discounts on reorders of your favorites, and special deals for members only. Compare: How many local wine stores offer 50% on your first order? Customer Service Record. We can’t know what’s happening behind the scenes between wine clubs and their customers, but customers send us complaints about wine clubs and we check for feedback elsewhere on the interwebs. Compare: How many local wine stores will help you plan your next trip to California wine country? Personalization. Traditional wine clubs “personalize” shipments by allowing you to choose wine color and delivery frequency. Modern wine clubs personalize based on your stated likes and dislikes. One even lets you order exactly what you want. 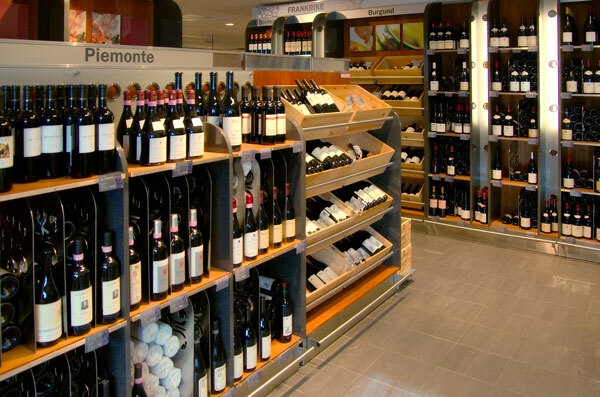 Compare: How many local wine stores really get to know your palate? Curation Process. How the wine is selected is related to how likely you are to enjoy it. Some wine clubs have elaborate tasting panels, while others rely on sommelier and other expert opinions to source great wines. Some just get their hands on anything they think they can sell. Compare: How many local wine stores tell you why they carry the wines they do? Uniqueness of the Wine Club. We think traditional wine clubs are a great service for many wine drinkers, but we applaud companies that go out of their way to offer a unique wine experience. Compare: How many local wine stores offer quirky and unusual wine? Wine Education. Basic information about a wine is enough (what’s in the bottle and where it was produced) works for most people, but tasting notes and background information are essential to learning about wine with each shipment. Many wine clubs are now only offering this information online instead of in the box. That’s okay with us, as long as the information is available. Compare: How many local wine stores provide tasting and production notes? Quality of the Wine. While subjective, there are standard traits we keep an eye out for: 1) Is the wine balanced? 2) Is the wine too heavy on the oak or the taste of alcohol or acid? 3) Does the wine taste like the grapes it’s made of or just like grapes? For higher-quality wines, we look deeper — How was the wine produced and by whom? Does the wine have a good score from a reputable wine critic? Our wine club reviews detail how each wine club stacks up on these 10 traits. You’ve decided to join a wine club? You chose wisely. How does a wine club work? Do I have to be home to receive deliveries? Do I pay up front or for each shipment? What is a wine club special offer? When will my wine be delivered? Q: How does a wine club work? 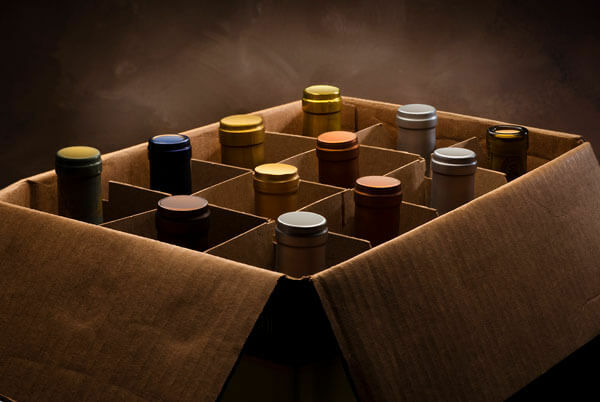 A: Simply put, a wine club is a subscription box service for wine. Each month a new selection of wines is delivered to your door. 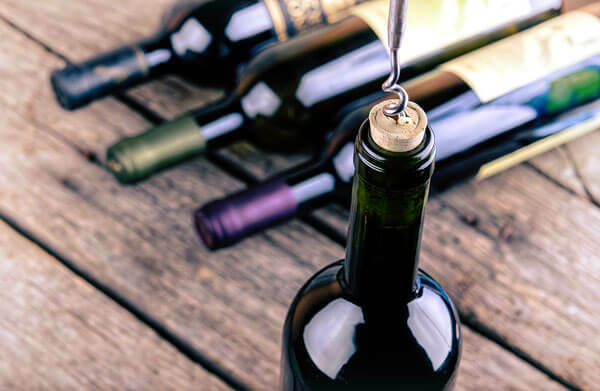 With hundreds of wine clubs available, you can customize the type of wine, wine region, delivery frequency, number of bottles in each shipment, and the wine quality (to name a few options). In addition to ongoing membership, you can often choose a fixed number of shipments from 1 to 12 months. Q: Are wine clubs a good deal? A: We think many wine clubs are a great deal. We also know there are some stinkers out there (we’ve tried those, too). If you would like more information about why we think wine clubs are a good deal, please read our article about how to find the best wine club deals. Q: What if I don’t like the wine? Q: Do I have to be home to receive deliveries? Have the deliveries sent to your workplace. This isn’t an option for everyone, but if you can receive packages at work, this is ideal. There is always an adult around to sign for a package and the wine will be kept in a temperature-controlled environment until you can bring it home. Sign up for UPS MyChoice and FedEx Delivery Manager. These are free services and they are SUPER useful for wine club deliveries. In most cases you can reroute a delivery to another address (for a small fee) or to a business who contracts with the delivery company (this option is free) — I get my FedEx packages at the Walgreens around the corner from my home when I won’t be around on a delivery day. These services can also be used to manage vacation holds (a big part of why they’re super useful). Q: Do I pay up front or for each shipment? A: Typically a wine subscription is “pay as you go.” This means your credit card will be charged before each shipment. If you want to implement a little self control in this scheme, choose a subscription that’s paid up front (3 months at a time is a good idea). Usually the pre-paid option is available in the “Gifts” section at a wine club’s website. Q: What is a wine club special offer? A: Sometimes wine clubs offer incentives to get you to sign up. Typically this is an introductory shipment at a steep discount (up to 50%). Most of these deals are offered for ongoing subscriptions (not pre-paid subscriptions) but some companies offer “bonus gifts” even when you pay up front. Q: When will my wine be delivered? A: When a wine shipment will arrive is highly variable. Some wine clubs send the first shipment immediately after ordering, some within 3-7 days of the order being placed, and some only ship one day a month. Additionally, where the package will ship from, how far the wine has to travel to reach you, and other hurdles can drastically affect when the wine will arrive.